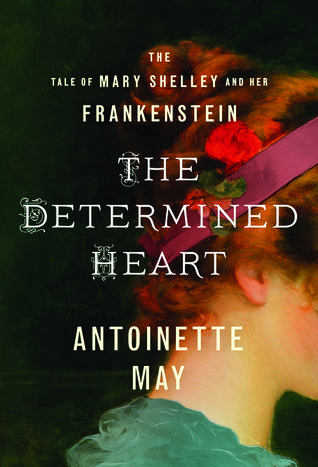 Goodreads: The daughter of political philosopher William Godwin and feminist Mary Wollstonecraft, Mary Shelley had an unconventional childhood populated with the most talented and eccentric personalities of the time. After losing her mother at an early age, she finds herself in constant conflict with a resentful stepmother and a jealous stepsister. When she meets the Romantic poet Percy Bysshe Shelley, she falls deeply in love, and they elope with disastrous consequences. Soon she finds herself destitute and embroiled in a torturous love triangle as Percy takes Mary’s stepsister as a lover. Over the next several years, Mary struggles to write while she and Percy face ostracism, constant debt, and the heartbreaking deaths of three children. Ultimately, she achieves great acclaim for Frankenstein, but at what cost? Kritters Thoughts: A historical fiction based on a true person which sometimes is my favorite historical fiction! This book is all about the author of Frankenstein - Mary Shelley and from her childhood to writing Frankenstein and beyond, this book really put a spotlight on how her life influenced her writing. I went into this book very blind about Mary Shelley and I am glad. I liked being able to read this piece of fiction and enjoy it, but it also made me want to one read Frankenstein and two read more about her and her family. Mary Shelley came from an interesting family and also created through friendships and acquaintances an interesting "family." The other thing that I loved learning was specifically how Frankenstein came about. Although in the scheme of her life and the book it was small, I loved seeing the ideas come together and germinate and become the book. How she got the name and then came up with how he came alive - it was so fun to see the evolution. Whether you are already a Frankenstein fan or never have read it, you can appreciate the story of how it came about. I would say that you should be a historical fiction fan to read as this is definitely a piece of history. I enjoyed Frankenstein so I'd definitely like to read this book.